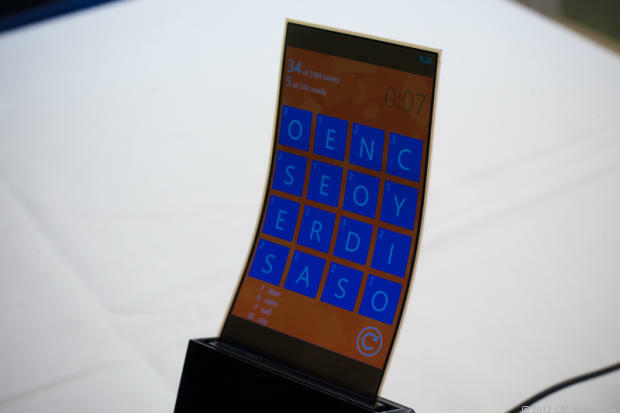 With no price or release date in sight, Samsung was still willing to show off their new “Youm” flexible smartphone and tablet displays at the end of their keynote, today at CES. They were able to show the press a handful of devices, most of which were curved or bent to highlight the technology while still displaying images or video. 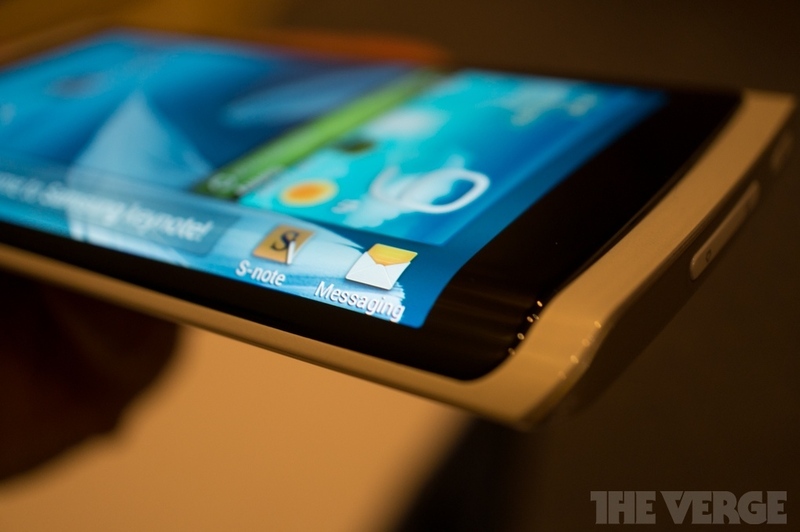 The most interesting part, though, had to be the prototype device with slanted edges. The device was white and black with a display around 5-inches in size and close to a 720p resolution, but it had slanted edge where Samsung attempted to show that manufacturers can use the flexible space to highlight features. As you can see in the picture above, the flexed part of the display has S-note and Messaging icons, along with a text message or box for scrolling text, like a ticker. 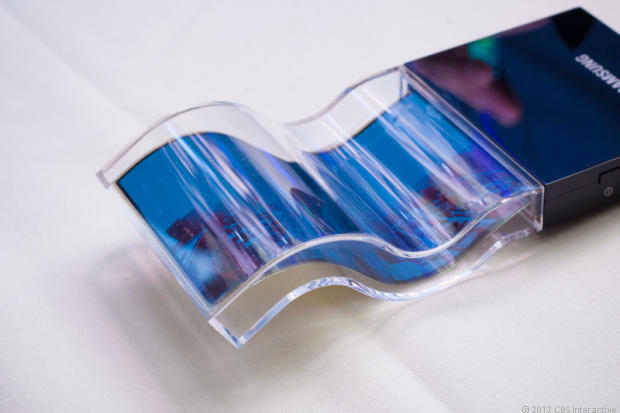 You can easily see how useful this technology could be for all sorts display shapes and sizes. I think we still care that it might make displays unbreakable more than anything. Your thoughts – cool or weird?